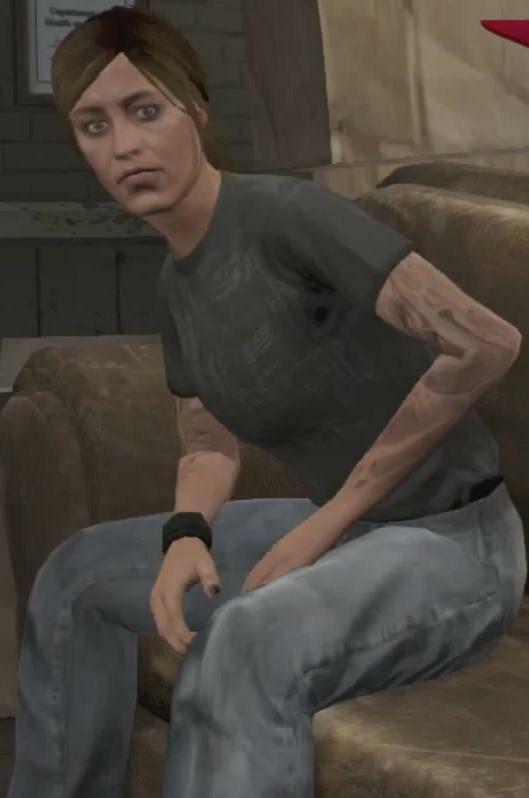 Paige Harris is a character in the HD Universe who appears as a minor character in Grand Theft Auto V. She is voiced by Julie Marcus. Paige Harris is, in 2013, a potential crew member for heists as an hacker for Michael De Santa to choose. She has the highest initial skills out of the three available hackers. Paige commands the highest cut out of all available heist crew members at 15% of the heist's net gross. If chosen, Paige gives the crew a 90 second window before the alarm resets itself. If the player chooses the "Roof Approach" and selects Paige, she competently guides Michael through the hacking process and shuts off the sprinkler system regardless of any previous experience. If the player chooses the "Subtle Approach" and selects Paige, traffic light changes are instantaneous regardless of her previous experience. If the player wishes to maximize their take on The Big Score using the Subtle Approach, Paige should not be used on the initial playthrough, since she will be paid $30,195,000, assuming no part of the take is lost. Depending on the player's crew loadout, she can end up being paid more than the protagonists. Her image on the information sheets used while planning heists. This page was last modified on 28 December 2014, at 16:44.